Long term care options for seniors are becoming more expensive. But family caregivers still need help caring for their older adults. That could mean hiring in-home care help, needing home health aides, or moving them to assisted living or a nursing home. Understanding future care costs means that you can prepare for what’s coming and take action while things are relatively calm (no health crisis or emergency). Even if the estimated costs turn out to be a big number, knowing is better than living under a cloud of uncertainty. It’s better than being surprised later on and having to scramble to try to pay for care services that have suddenly become absolutely necessary. We explain the misconception that the government will pay for long term care, what the average costs are, where to get a cost estimate (free, no strings), and 5 ways to use that estimate to plan for the future. Unfortunately, many people incorrectly believe that government programs will cover most or all of the cost of long term care for everyone. That’s simply not true. Traditional Medicare doesn’t cover long term care. It only covers limited stays in nursing homes and intermittent home health care after a hospitalization. In-home help for everyday activities like eating or bathing isn’t covered. Ongoing home health care also isn’t covered. Medicaid does pay for long-term care, but the rules for qualifying for Medicaid are different for every state. There’s a lot more detail and a variety of exceptions, but in general, a person needs to have less than $2,000 in assets to be eligible. Note: Starting in 2019, Medicare Advantage plans are allowed to offer coverage for a wide range of personal services including home care, health-related transportation, home safety improvements, and more. However, relatively few plans are currently offering these personal care benefits. Traditional Medicare doesn’t offer these benefits. In Genworth Financial’s 2018 Cost of Care Survey, they found that long term care costs are high and have been steadily rising over the years. In 2018, a private room in a nursing home cost $100,375/year. That’s a 3% increase over the 2017 cost of $97,455/year. From 2016 to 2017, that cost rose 5.5%. Another category where costs have been increasing is home health care, which is similar to having skilled nursing care at home. In 2018, the annual cost was $50,336/year for 44 hours/week of care. That’s an increase of 2.3% over the 2017 price of $49,192/year. In some years, the increase has been larger. From 2016 to 2017, annual home health care costs rose 6.2%. Note: National median costs are used for comparisons and prices will vary depending on location. To get an estimate of the cost of long term care based on your older adult’s location and care needs, use Genworth’s free long term care cost calculator. Seeing these costs in black and white can be overwhelming. But knowing what to expect helps you prepare for the future. 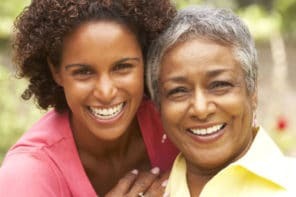 This gives you the chance to plan ahead for the care your older adult will probably need and protects you and them from being blindsided by large expenses. Assuming they’re still able to manage their finances, talk with your older adult about their financial situation and update them on current long term care costs. They could be under the assumption that care costs haven’t risen much in the last 20 years. If you’re already managing their finances, understand the whole picture of what will be available to pay for their long term care. Many caregivers end up quitting their job to care for an older adult or use their own retirement savings to pay for their parent or spouse’s care. Be realistic about your own financial situation and understand how much you’ll be able to contribute to your older adult’s care, both in money and time, without damaging your own future financial situation. Seeing these facts could motivate you to seriously investigate other options to pay for long term care before it’s actually needed. Doing this as early as possible helps you avoid committing to a solution that ends up hurting you because there’s no time to find another way. 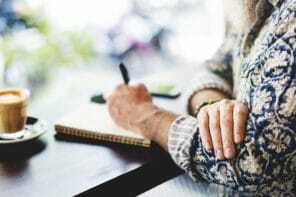 Even if you’ve already made big changes in your life so you can care for your older adult, it’s worthwhile to go through the estimate to figure out what’s best for the future. There’s always time to make additional changes to protect yourself and get your older adult the care they need. Take an honest look at your older adult’s health and any chronic conditions they currently have. Given their current health and expected progression, how much help will they realistically need next year, in 5 years, in 10 years, or after that? Health can change unexpectedly, but for now, work with what you know. For example, think about the best case scenario where your older adult stays relatively healthy and independent and you and family can provide help to supplement long term care services. Also, consider a worst case scenario where full-time care is needed in a care community because their needs go beyond what can be managed at home. Use these scenarios to make a rough estimate of their future care costs. It’s not going to be exact, but at least it will give you ballpark figures. Now that you have some idea of how much your older adult’s long term care costs will be, it may be time to consult with a trustworthy legal or financial professional to get expert advice. Elder law attorneys could advise on how to qualify for Medicaid and how to protect assets for spouses or future generations. Financial planners could advise on how to budget and plan for future expenses. It’s also important to start talking with family members who will be involved in your older adult’s care. This will be different for each person’s situation, but if others will be involved, starting these conversations as early as possible benefits everyone. Sharing ballpark estimates and best and worst case scenarios gives everyone time to absorb the information. It’s also possible that others could help with the expenses. Having these conversations when a health crisis isn’t happening also means that it’s more likely that the discussion will be calm and productive.